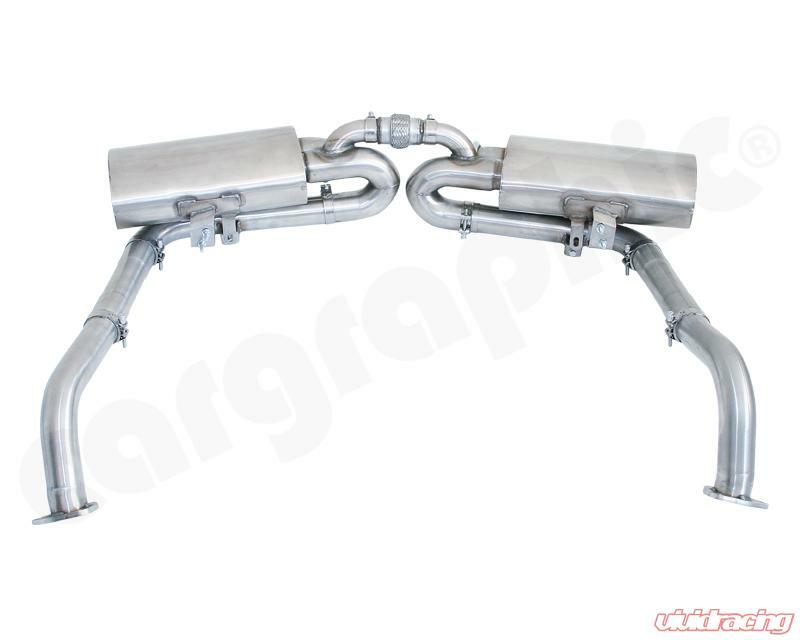 Stainless steel sport rear silencer sets without flaps for Porsche Boxster 987 MK1 / Cayman 987 MK1. 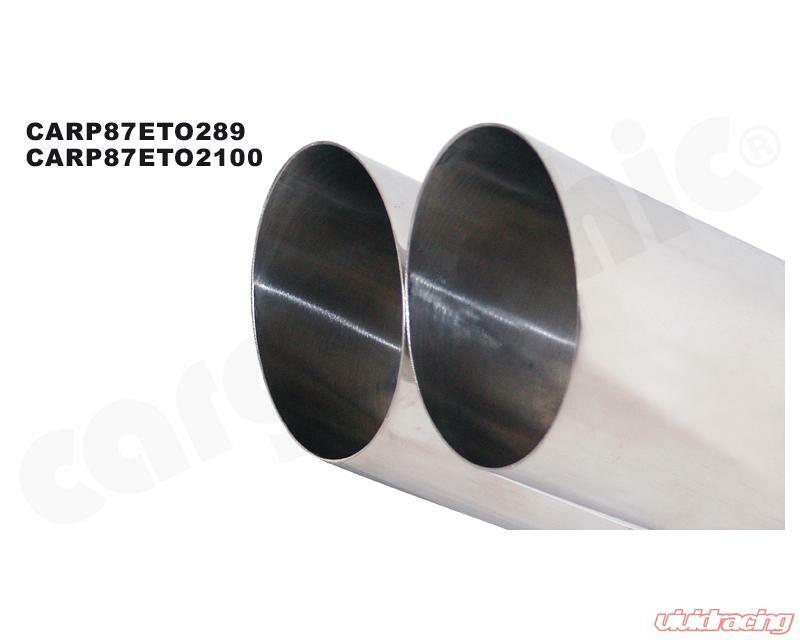 These Silencers are concipated as absorptive silencers which reduceexhaust back pressure drastically. 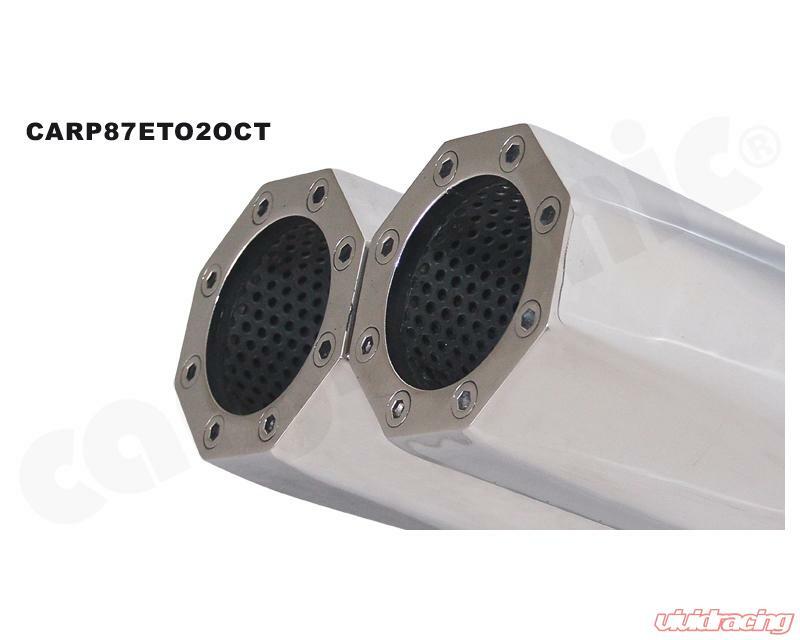 The result is besides more power anda better response characteristic, a sporty deep hollow sound. Further more the rear silencers are considerably lighter than thestandard product. 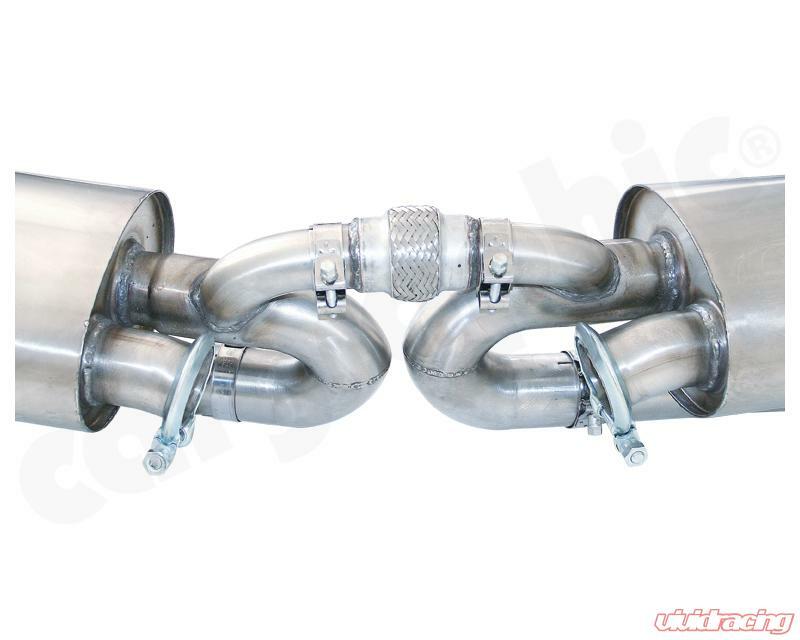 Power- and flow optimised without catalytic converter. Performance: 11KW(15PS) more power and 15Nm additional torque.